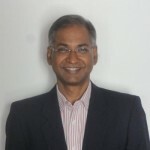 K Vaitheeswaran (Vaithee) co-founded India’s first e-commerce company Fabmart.com (later re-branded Indiaplaza) along with 5 other Co Founders and helped build brand, scaled company, raised investments of several million US dollars. He is happy with the pioneering efforts he took in e-commerce since 1999 that has helped create a fast growing internet retail industry today in India. Vaithee is referred to as the “father of e-commerce in India”. Vaithee currently consults with top retailers and brands on their e-commerce, Omni-Channel, internet plays and help them go online. The inception of Fabmall was an interesting story. Many of the six Co-Founders were ex-colleagues at three companies and hence had a dotted line connecting all of them. In individual groups, the small teams had spoken to each other about starting something and that was also shared to the common link and the six of them got to know each other. They finally met one day and decided to quit and start. The question was on what business to start. Vaithee recollected the day when he was working on the Internet and visitedwww.amazon.com which was selling books. He was fascinated that someone sitting on the other side of the world was selling to him and he figured out that this can be repeated by him sitting within India and selling to the entire world. Even though supply chain, logistics, mapping inter state taxes was a big broken challenge in India, he knew that the Internet would be a good leveler for overcoming these challenges. An article he read about a new industry e-commerce reinforced this thought. Vaithee laughs that the word e-commerce sounded cool and the combination of these three factors convinced him to get into this business . Fabmart was born. Thanks to the concerns they had on security, their friends said that they hesitate to use their credit cards and almost all of them said that they would not buy anything online. Use trust as an important trigger to allay the buyers concerns and give a 7-Day No questions asked return policy. This is industry standard today. This meant that this has to be a product that was easy to buy and the buyers should not spend too much of time to think about it. So, they ruled out apparels, jewellery and other life style items. The next thing was that it should be of low value to convince customers to try and hence a INR 50 was easier to convince the buyers to try instead of buying a 20K Washing Machine as that would require a touch and feel. They took a few products and applied all these filters and froze on Book and Music to fit in and chose what to sell. Vaithee recalls that the first component in building a revenue model was be more of a B2B model than of a B2C Model. They needed Book Publishers and Music Labels to allow them to sell their products and only then make money. So, the team decided to go and find out who were into these businesses. The team went into leading bookstores and spent hours and days in those stores. They picked up one book after the other and begin noting down the book publishers and picked up all Music CDs and began noting down the labels. They could only spend some time in the stores before those employees began noticing that some strangers were coming in and taking notes. They spoke with the store managers and found where the stores are buying it from and located the distributors. They met the distributors and understood where they buy it from and got the names of the companies and Labels. They met the regional sales people and got the HO contacts and then finally cold called. Vaithee recalls that music picked up faster than books because the Indian music industry was concentrated between Chennai and Mumbai but the book publishing industry was concentrated between Chennai and Delhi. The cost of travel to Mumbai was cheaper than cost of travel in Delhi. So music started before books in the early days. Vaithee calls the entire process as Stealth Cold Calling. They did not know whom to speak with when they walked into the head offices. When they asked the receptionist on whom they have to meet up for taking stock of the products to sell that online, no one came up and said that they were the right people to talk with. Vaithee recalls that this was frustrating in many situations where the people within those companies thought that this was another music store that they were planning to set up and came there to talk about the distribution policies and after a couple of hours they figured out that they were not the people and did not know who to connect them with. They came across an ad about a Music Conference in Mumbai and saw that the who is who of the industry would come in and the cost of entry was just INR 5000. They spent two days in the conference and met around 30 music labels, got their contacts and followed up with them. Vaithee talks about his closure with a global music label, where he was put across multiple departments like Marketing, IT, Sales and went round and round in circles to convince and finally they came across someone who had worked in the same company before (even though they did not know each other). This person felt sympathetic and helped them located someone who could take a decision. He said that he also does now know what to do because this was a new channel for them. He was worried in deploying his resources and wasting their time. But seeing their passion , he said that he was willing to give them the information about the label they want to put on the website, but wanted two more labels to sign up. They used this confirmation and convinced two other big labels to sign up and then they started music. The first sets of consumers were friends as email ids were not even popular and hence they could not do any email marketing. They had quite a bit of contacts and decided to reach out to them to evangelize the concept. They employed one person to assist the six co founders where she will take phone calls in the office when the six founders will be out locating at least ten people (target) and would meet or speak to them to ask them to log in and shop and buy something if they liked. They had a daily target and worked harder the subsequent day if they did not reach the target the earlier day. After a few weeks, the first customer came from Pune and slowly the order began trickling in. They were doing some promotions with CitiBank as Citi was their partner. Citi will send mailers to their customers asking them to buy from this site through Citi Bank cards. They reached out to Dr Balamurali Krishna who was a famous singer and spoke to him about the uniqueness of the concept to promote Music in India legally. He understood the concept and was thrilled to partner with the first music Internet store in India and offered to sing a unique song on Lord Ganesh (this coincided with Ganesh Chaturthi) which was offered free. This got a lot of people buying. Since this concept itself was new, they had tried every possible avenue that they could. Vaithee says that they figured out one thing – which is about buyer behavior a little late. They were going to households and meeting consumers there to promote the website. The people there heard them out but sales were not happening, as it should have. After a bit of brainstorming, they found that even though the buyers were individuals, they did not have Internet connectivity at home but had it only in their office and were buying it out of the offices only. This gave them the spark to shun reaching out to people at homes and began reaching out to people at work. Vaithee says that the sales could have picked up better if he had planned his marketing initiatives based on his buyer behavior. It is unfortunate that people think Marketing is a very evolved function but Sales is a low-end function. From the time we are born till we die, we are sales people and we sell everyday to everyone on everything. A founder should have this skill with them. There are many companies started by people who write brilliant codes but they will not make money because they don’t know how to sell. Vaithee’s advice to founders is to spend the first year in sales, pick up the phone or email, pound your buyers, learn the stuff and then you will figure out all the other things that are needed to grow your company. A founder will never solve this problem of sales by hiring a seasoned sales manager because they have to sell that person the job when they will make no fixed money but will make big money by the stock options which will come after many years..
Fabmall has been sold to Aditya Birla and is renamed as MORE chain of stores all over India. Indiaplaza is no longer functional.